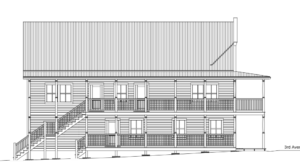 Coming soon to downtown Dawson… KDO 8-plex TWO! 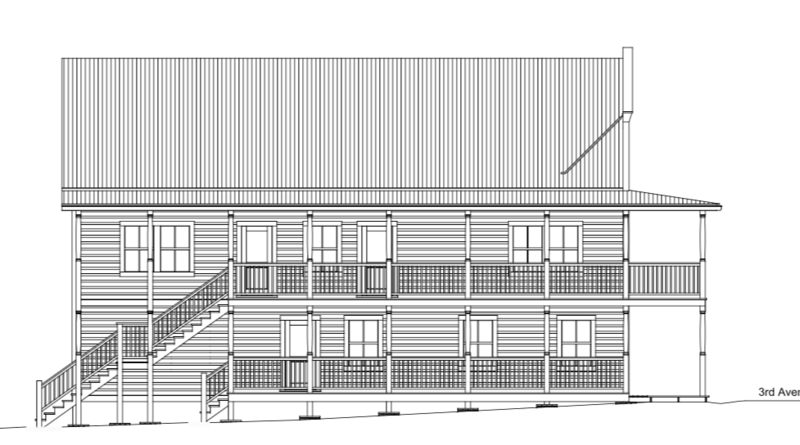 KDO is thrilled to announce the commencement of our second affordable housing complex in Dawson City! Members of the KDO Board of Directors, City Council, Administration and former owner of the property gathered to celebrate the ground breaking. Photo: Dan Davidson. Gammie Trucking digs in to the ground work. A modification of our 6th& King apartments design, this new building will again offer 8 compact and energy-efficient apartments. Different design elements were introduced to adapt the complex to the 3rd avenue property on a commercial street flanked by historic sites on either side. 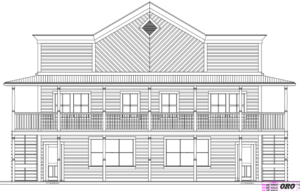 East elevation drawing (3rd avenue view of the building). Design by Oro Enterprises. 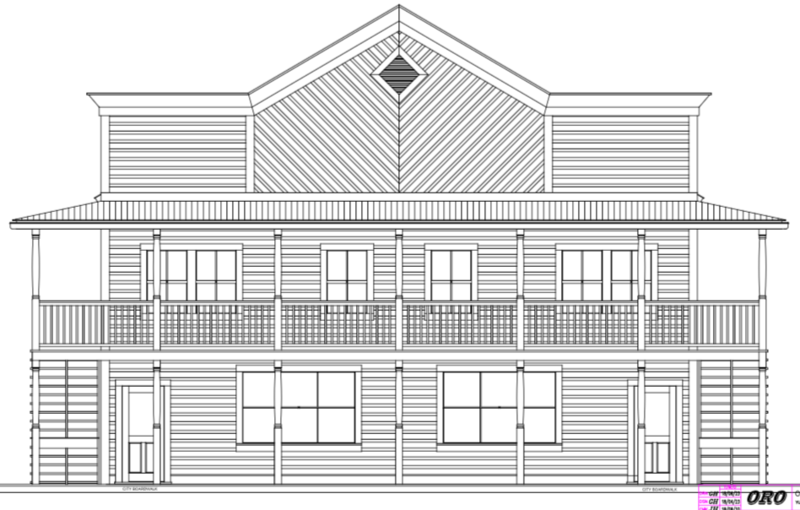 South elevation drawing. Design by Oro Enterprises. Operating on a not-for-profit model, our aim is to provide comfortable, stable, affordable housing to help alleviate the shortage our community continues to face. 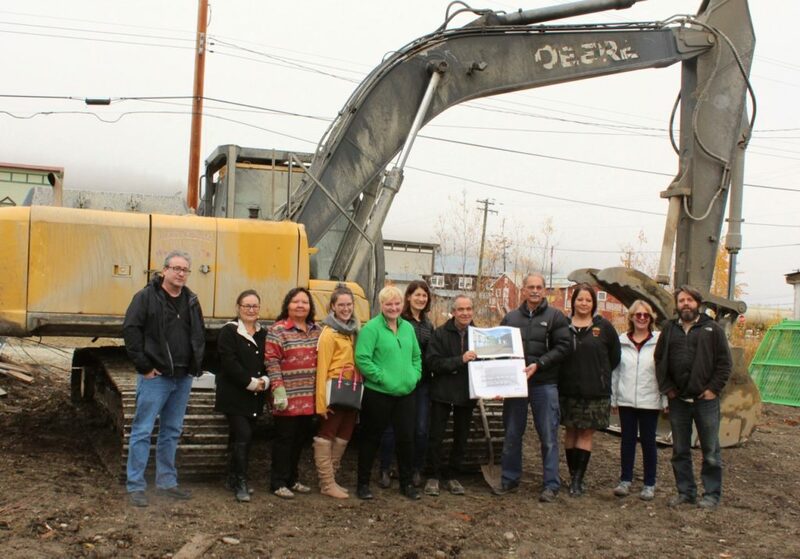 KDO would like to express our thanks for the support of the City of Dawson through their Development Incentive Policy, to Canada Mortgage and Housing Corporation for their assistance in completing the design and engineering, and to Yukon Housing Corporation for their Affordable Housing and Municipal Matching funding. 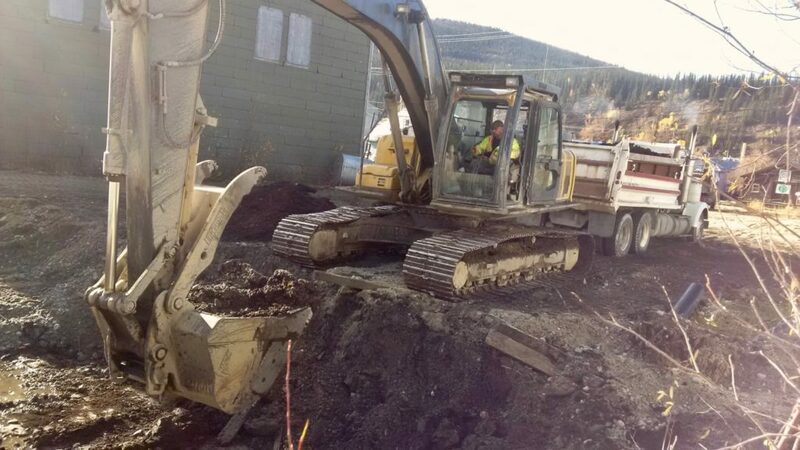 Oro Enterprises was the successful proponent following our construction RFP, and they are looking to begin construction as soon as the site is backfilled and compacted. We will get the building tight to weather as soon as possible, and then interior construction will continue over the winter, aiming for final exterior work and completion by the end of summer 2019. Mahsi Cho, everyone! This stuff is not easy… we could not do this without you. Now… let’s get to work! Previous PostHow about a makerspace in Dawson?Next PostBaby steps towards KDO 2!